Could virtual idols soon replace human performers? But rather than basing the holographic performance on a particular human performer’s movement and voice — the way holograms of Michael Jackson and Tupac have “performed” on stage over the last decade — Tianyi’s performance is the result of six months of hard work by roughly 200 production staff, as the South China Morning Post (SCMP) reports. Because she doesn’t exist as a real person, Tianyi is an intriguing vision of the future of entertainment. Her voice and personality are created through sophisticated tech, including motion capture and 3D modelling. 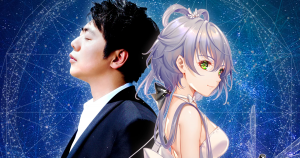 A backstage voice dubber and motion-capture actress even allowed Tianyi to interact with Lang Lang in real-time. Luo isn’t the only virtual idol out there. In Japan — where the trend caught on first — Yamaha Vocaloid-based idols such as Hatsune Miku have turned the trend into a billion dollar market.